March winds, April showers, bring forth May flowers! as the saying goes. 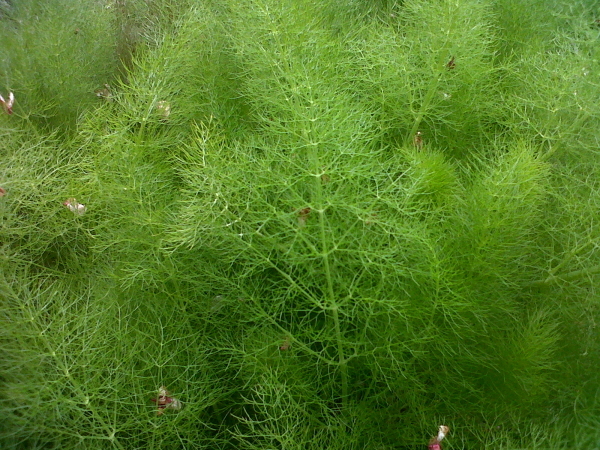 Archemillas - so called because sap from the plant was used in alchemy. 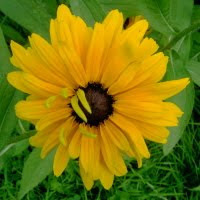 This is actually their best time of year, because later on their bitty yellow flowers mask the beautiful leaves. They also seed everywhere, so best cut those flowers early before they set to seed! 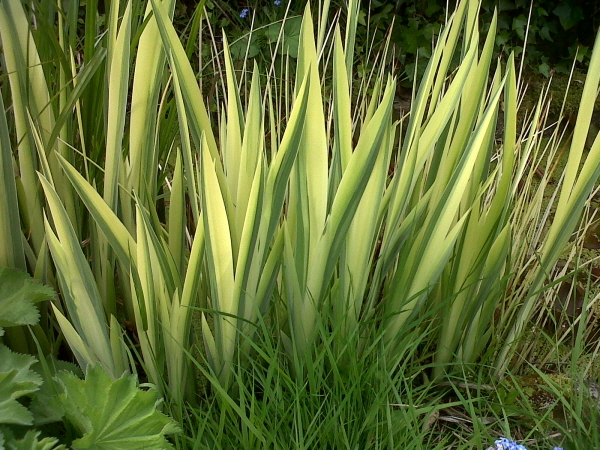 Fantastic hostas in the garden around the pond. 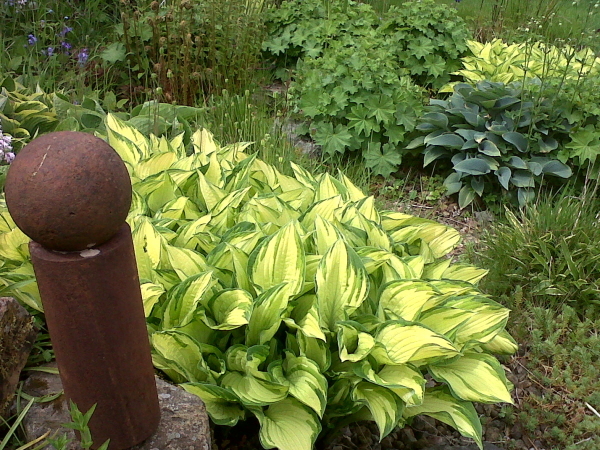 The i sculpture is home made from items discovered in the garden. 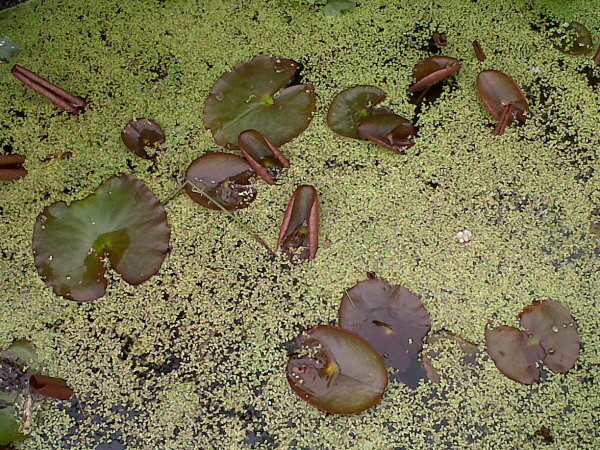 New water-lily leaves - with rather a lot of pond weed. 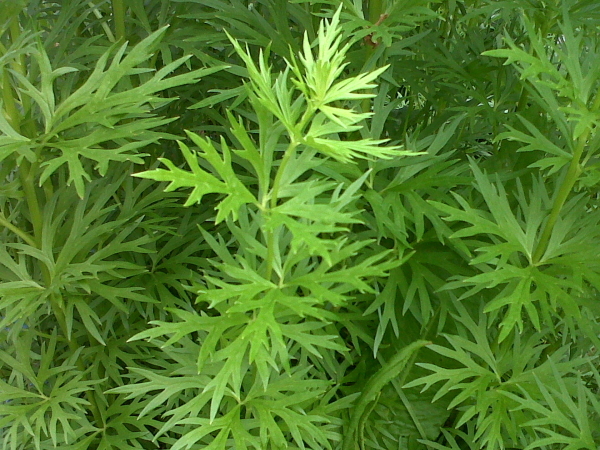 We have a horrible invasion of Ground Elder. This is creeping in from the adjacent field and despite much pulling and hacking in previous years, and indeed complete digging over of one bed and putting down a plastic membrane, the stuff keeps coming.The roots are worse, if it's possible, than couch grass and bindweed, and it's already going up to flower. So at the weekend Paul got stuck in again. After half an hour's digging Paul reported a lot of buzzing, angry bees. He'd dug up some herbaceous plants, aquilegias and cornflowers so at first we thought that the bees were cross that their food source had been moved, But they kept coming, hovering just above the soil. Eventually we discovered that we'd disturbed their underground nest. Another small dig with a trowel and there were bees flying out everywhere. So we covered up the entrance hole with some leaves and left them to it ..... and went on to another patch of Ground Elder, we have lots to choose from! This morning the bees seemed to be going about their business as usual. We had our first potatoes of 2015 today. About 2lbs of lovely firm, delicious, white Colleen potatoes from one of our green tubs we started off in the conservatory. It's great to eat our own produce. The potatoes taste so much better than shop-bought and there's no chemicals added. We're fairly keen about marrows, baby marrows (i.e. courgettes or zucchini) and many varieties of squash. They are usually fairly easy to get started from their big fat seeds in small pots in the conservatory or greenhouse - or even on windowsills in the house. But some years we hit a problem - and this is one of those years. 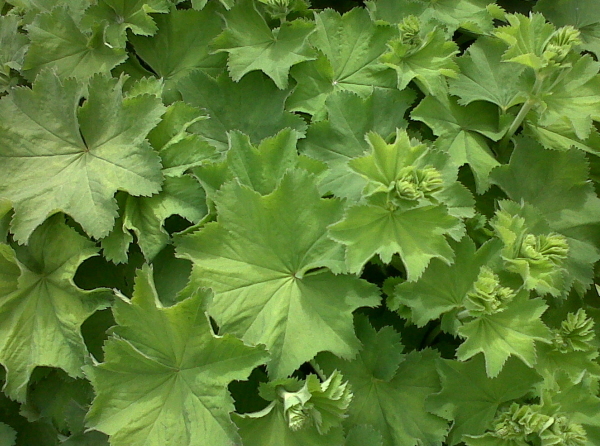 We planted 9 Green Bush Trailing marrow seeds from a new packet and only one germinated. The survivor is growing into a nice sturdy plant, but 1 from 9 isn't a good ratio. After 3 weeks I checked and the seeds hadn't rotted or been eaten, but were just not doing anything. In desperation I bought some seedlings at a local Plant Sale. These are a different variety Nero Di Milano which we haven't grown before and I believe are used mostly as courgettes rather than leaving to grow to marrows. It's good to try new things. 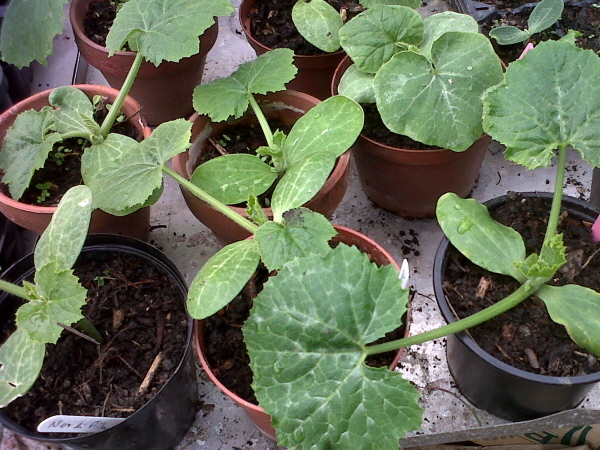 Also picked up a Turks Turban squash seedling, sounds very exotic. This is a stuffed Turks Turban - recipe from Sue Lau on Food.com. Look forward to trying that later in the summer! I've since planted 5 seeds from last year's packet of Green Bush and 3 have come up pretty quickly. I keep seeds from our harvest and sometimes from bought Butternut Squash. Unfortunately I'm not much good at labelling them. So the squash seeds I planted could be anything. Previously this random process has produced a variety of stripy green or yellow squashes of different sizes and shapes. They are all good in soup or roasted with some fennel seeds or sage! 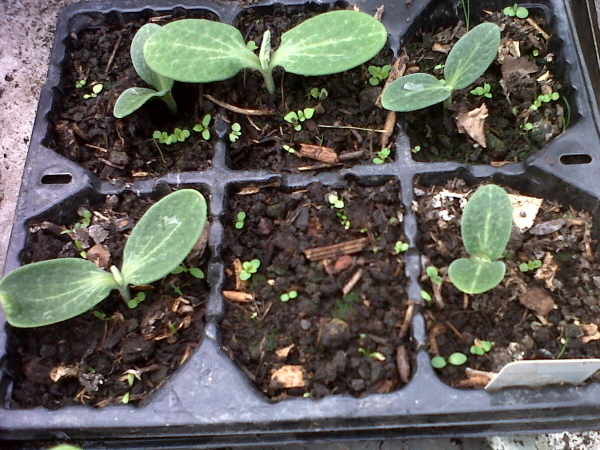 Butternut Squash seedlings - plus some weeds. 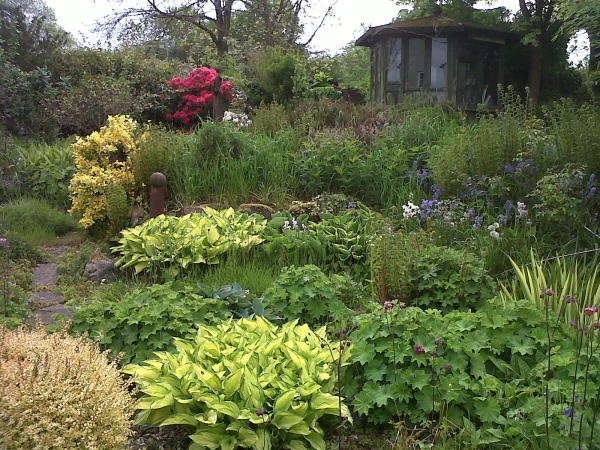 I use our own compost which is good but not weed-seed-free. It's International Composting Awareness week! Not sure if the timing is someone's quiet joke given it's UK Election week. But it is actually part of the United Nations Year of the Soil - see www.soils.org.uk/international-year-soils-2015-0 - which is raising awareness of the importance of sustainable soil management as the basis for food, fuel and fibre production and essential ecosystems. It's also highlighting the role of soils in adapting to climate change for future generations. So pretty important. At Froggarts Cottage we take composting very seriously. We have three 6ft square wooden compost bays built on soil and we use them in rotation. So we are using one to put the new vegetable matter in, the second is covered and processing nicely turning it over every couple of months and the third, now full of pretty good stuff, we use for topping up the veg beds, greenhouse and for re-potting things. It takes about 18-24 months to generate good compost for use. We also have a couple of those "dalek" plastic compost bins which we bought for our previous house (with postage-stamp garden). We use those for rotting down leaves which take longer than other waste. From time to time we'll mix some well-rotted leaves into the main compost. The only difference I can see between our compost and what you buy in shops is that ours still has weed seeds in. I guess the commercial stuff is heat-blasted to get rid. In fact our compost has a better mix of soil to vegetable matter which makes it better for potting or sowing big seeds like beans. Some of the shop stuff just looks like wood chips. What do we put in? Grass chippings, weeds (but not couch grass or bind weed which I consign to a fiery end on the bonfire), ashes from the bonfire, trimmings from herbaceous plants and shrubs, vegetable waste from the kitchen, egg-shells, shredded paper, card egg-boxes, toilet roll middles and other light cardboard. Occasionally we get a boost from passing horses or a bag from the local stables. I do worry that some of the waste from bought-in vegetables may not be too healthy. I never put in potato peelings - there's too many bugs and viruses - and since the allium leaf miner I don't put in onion or leek peelings either. Those bugs may well have come in from foreign farms. Obviously using waste from bought fruit and veg means our compost isn't organic. There are lots of theories and advice about composting, but generally it all works out OK if you keep it mounded up, not too wet or dry and turn it over every couple of months. Let the bugs, worms and bacteria do the hard work!